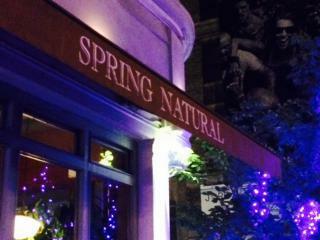 Spring Street Natural is located on the border between SoHo and NoLita on Spring Street. They serve fresh and healthy cuisine from natural whole foods that are minimally processed. A few items of fresh natural ingredients to organic whole products includes their house made breads, fresh pasta, and free range chicken sausages. In addition, there is a wide variety of choices of food from vegan dishes to sandwiches.